This sweet new design reminds the senses of tiny rose buds among the green bushes. 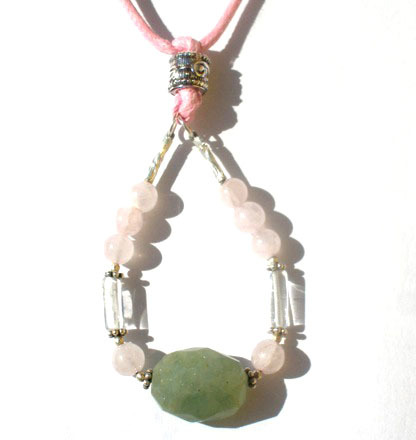 Made from undyed and ethically traded gemstones: Rose Quartz, Clear Quartz, and Aquamarine with Sterling Silver. Strung on an adjustable cotton cord to be worn short, long, or anywhere in between.